Not only the geographical conditions of the state are different but it can also be set apart demographically with varied ethical and social entities, diversity of religions flourishing in the area, different language and cultural forms and heritage albeit with an over-reigning harmony that blends in with the serenity and beauty of the region. God has blessed Kashmir with boundless beauty. Gandhiji once said if there is heaven on earth it's here in Kashmir. Holidays in Kashmir offer one an opportunity to see nature at its best. The rugged terrain & natural beauty of Kashmir offers ideal conditions for adventure sports. Adventure sports like golf, skiing, trekking, aero-sports, mountaineering, white water rafting etc. Known as heaven on earth, Kashmir is truly mesmerising. 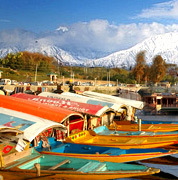 Its beautiful valleys & snow capped mountains attract people from all over. The serene & green meadows add that extra grace to the land. 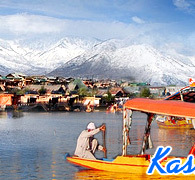 Jammu & Kashmir cansist of three main regions- Jammu, Kashmir & Ladakh. Jammu forms the southern part, Kashmir the middle & the upper whereas Ladakh forms the northern part. Jammu is the southern part of the state of Jammu & Kashmir. It is culturally duffrent then other parts of the state. The city acts as the summer capital of the state. 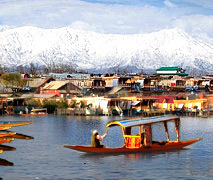 Kashmir is an amalgamation of rich cultural & natural heritage. The natural beauty of the state makes it a popular tourist destination for Centuries. Located in the northen most part of the state, Ladakh is known for its rugged topography, high mountains & a distinct culture. The Leh Palace & the Buddhist monasteries are worth mentioning. Hotels of Kashmir are renowned for their excellent hospitality. Most of the Hotels provide panoramic views of the picturesque landscape. 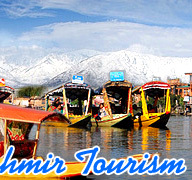 The state of Jammu & kashmir offers various excursions to the visitors. Some of these are religious shrines & some are beautiful hill resorts.